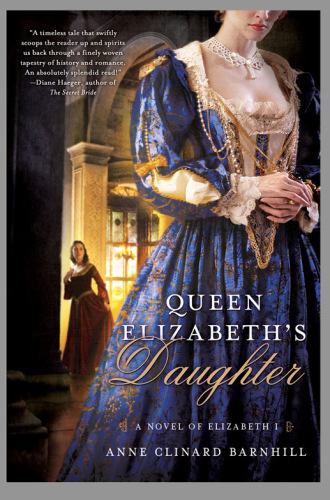 DuJour’s executive editor Nancy Bilyeau names Anne a top talent in historical fiction for her work on At the Mercy of the Queen and now the just-released Queen Elizabeth’s Daughter. Read Anne’s essays for EOC right here via these links, and be sure to check our her latest book as well! We are so proud of you, Anne. I’ve been writing since I was a kid and in love with Tudor England since my early teens when I discovered I have ancestors (The Sheltons) who were very active in Tudor times. I love to daydream, listen to music, play piano, read, walk in the woods and meet new people. I absolutely adore going about in my Tudor underwear to talk about clothes in Tudor times. Next year, I hope to have the outer garments as well. I enjoy speaking at book clubs, libraries, schools, just anywhere I can talk about life in the 16th century. I also admire Southern literature and especially books about Appalachia, where I grew up. It is my dream to visit England, the sooner the better!